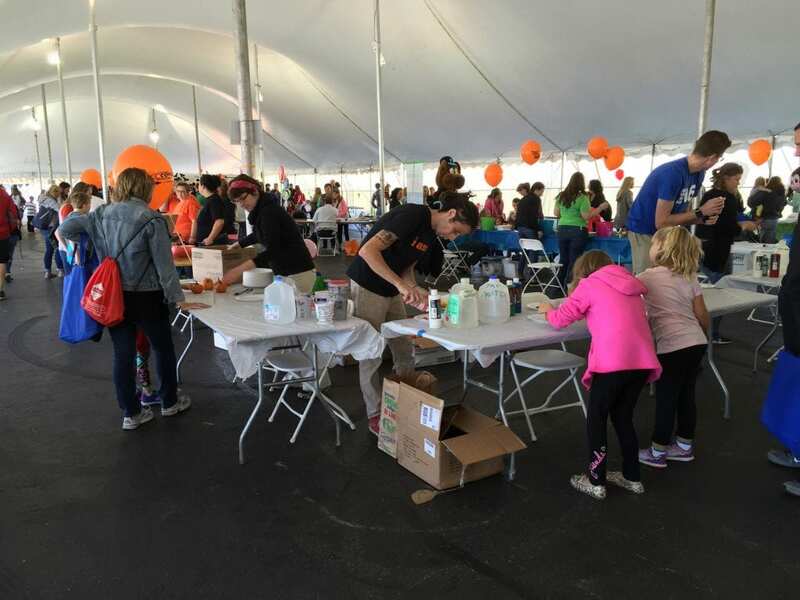 Join the Carnegie Center at the Kids’ Tent for the 50th anniversary of New Albany’s Harvest Homecoming Festival. This year’s theme is “Harvest of Gold” and we will have hundreds of mini pumpkins available to paint and take home. This is a departure from our usual Family Fun Workshop. Please note the different time and location. For this edition, the Carnegie Center instructors will be under the big white tent at New Albany’s riverfront on Saturday, October 14 from 12:00 PM – 3:00 PM. This is a free, family friendly activity and no registration is required for any of the activities under the Kids’ Tent. The Harvest Homecoming Kids’ Tent is located over the flood wall at the end of Pearl Street in historic, downtown New Albany, IN. We hope to work with many familiar faces at the 2017 Harvest Homecoming Festival.